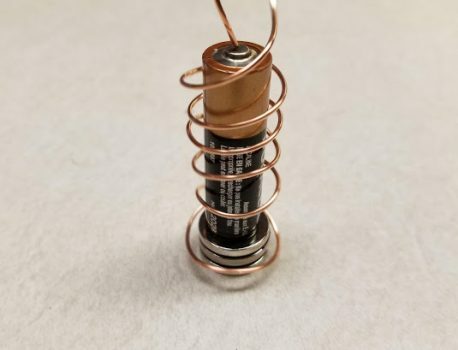 Learn about Magnetic Flux and Faraday's Law with a Homopolar Motor - LIFun4Kids - Build it and they will learn! 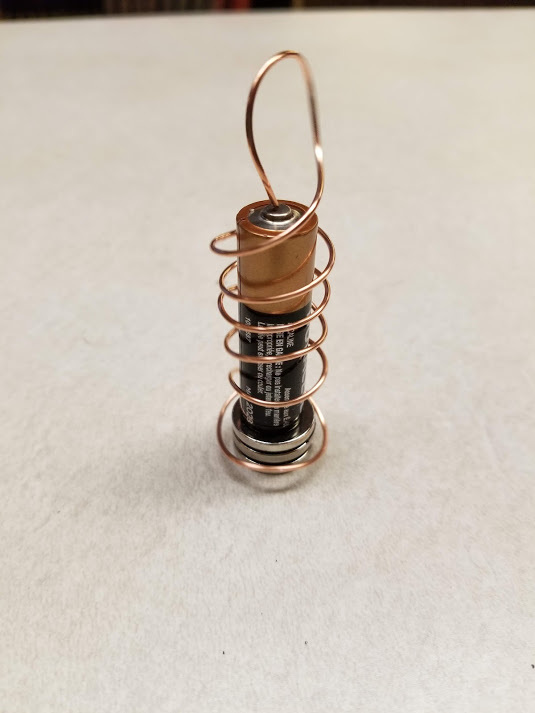 We used 3 neodymium magnets, copper wire, and a AA battery. *Be careful…the magnets, copper wire, and AA battery get very hot! 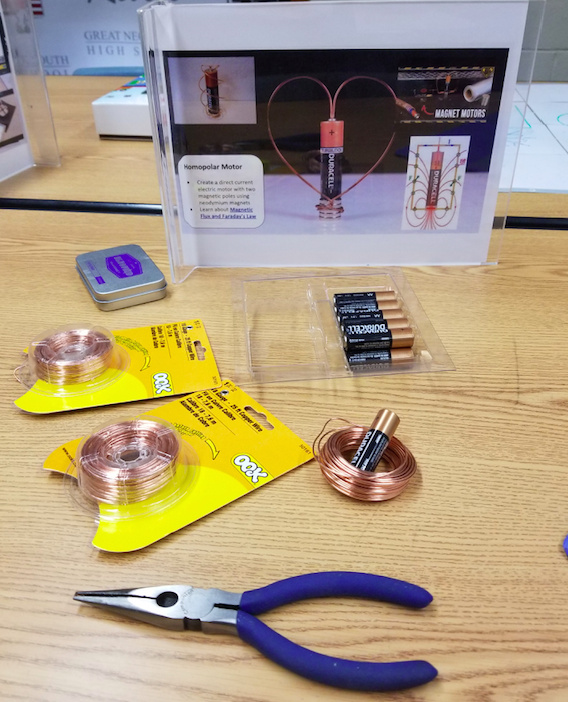 Supplies needed to make a homopolar motor. Learn about Magnetic Flux and Faraday’s Law.